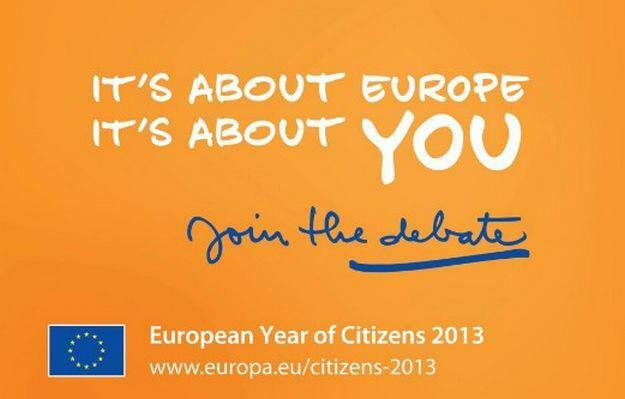 2013 is the European Year of Citizens! The better the men and women of Europe understand their rights as EU citizens, the more informed the decisions they can take in their personal lives, and the more vibrant democratic life in Europe can be at all levels. -encourage people to participate in civic fora on EU policies and issues. The Year's activities will be organised as much as possible at the grass-roots level, by citizens and civil society organisations themselves. Happy new year of citizens! Although not strictly development-related the recent announcement of the ‘European Year of Citizens’ by the European Commission is an interesting example of the use of language that also happens in development to disguise meaningful citizen participation and setting up participatory smoke screens. ‘Learning’, ‘stimulating’ and ‘encouraging’ are three ‘plastic words’ that actually say more about the challenges of EU legitimacy than about citizen’s rights. Or, to follow Poerksen's definition of plastic words ‘These words are more like an instrument of subjugation than like a tool of freedom’ (#18). They are soft, vague and fuzzy and, unlike ‘changing’, ‘challenging’ or ‘enforcing’ for example, do not indicate any meaningful follow-up processes and actions. This is about stimulating debate for the sake of producing cheap user-generated contents for some EU website. Or to say it with Poerksen's slightly awkward English definition: ‘Their many-sided generality brings about consensus’ (#22). I also like the old-fashioned idea that you can organize proclaim a top-down process and then ask the ‘grass-roots level’ to do the work for you. Because consulting civil society first and then setting-up a year of something may be tricky, the EU graciously invites its subjects to happily play in a walled garden of citizenship and rights education while the ‘adults’ (politicians, bureaucrats, lobbyists etc.) make the real decisions elsewhere and must not be disturbed. Meaningful citizen engagement – you are doing it wrong, EU! Many readers will enjoy a long Easter weekend and I will contribute some food for thought with my latest link review! Development news: Food crisis in Zimbabwe; the failure of development communication tropes; the conflict in Northern Nigeria is not 'empowering' victims; Charity Water hearts capitalism; US concerned over UNAIDS spending; the tragedy of contaminated water in Bangladesh; will AI kill growth in developing countries (and is it really a bad thing)? Expat vs. local aid worker: Somali UN staff edition; how UN consultants struggle in Geneva; pay transparency at Open Humanitarian Street Map; social media & emergencies; Melinda Gates likes taxes; 'solutions privilege'; new book project on Rwanda. Our digital lives: 30 African communicators to follow. Academia: Does #highered internationalization produce global taxi drivers? Is academia a Multi-Level Marketing scheme/scam?